BY APPT ONLY !!!!!! 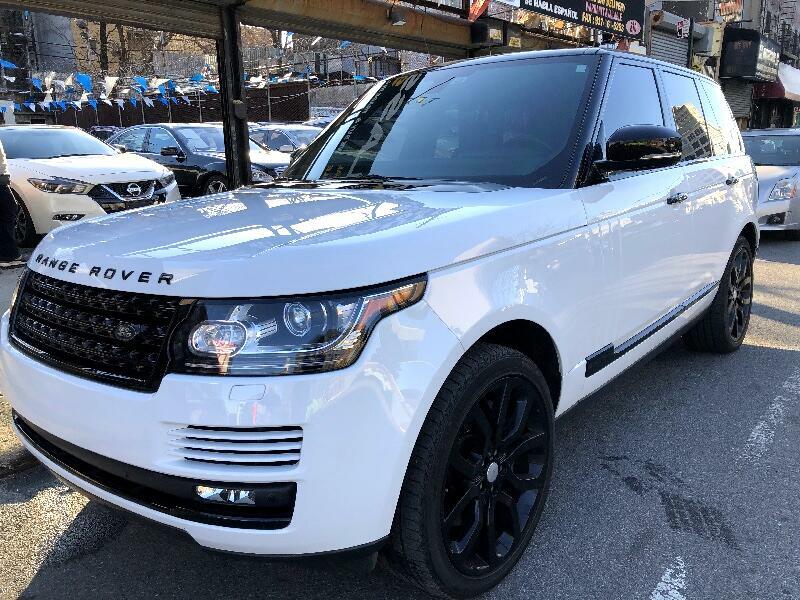 2015 RANGE ROVER HSE SUPERCHARGED V8... FUJI WHITE OVER BLACK LEATHER.... ONE OWNER VEHICLE!!! SUPERCHARGED V8 ROCKET!!! 22" BLACK PREMIUM WHEELS..... NICEST ONE AROUND..... SHOWROOM CONDITION IN EVERY DETAIL-- 55K ORIGINAL WELL SERVICED MILES..... ALL BLACK OUTSIDE TRIM..... TOUCHSCREEN NAVIGATION SYSTEM.... REARVIEW CAMERA PKG...... PARKING SENSORS........ BLUETOOTH...… ABSOLUTELY GORGEOUS....WHAT A RARE FIND CLEAN CARFAX!! !+++100% CARFAX CERTIFIED!!! NO ACCIDENTS EVER!! !